Who wouldn't love getting a massage in their home whenever they wanted? Thanks to the innovation of the shiatsu Massage Chair, you’re able to do exactly that! Shiatsu chairs are constantly held to a high standard in construction and design. They use high-quality cushion materials, elite relaxing functions, and deep massager mechanics. 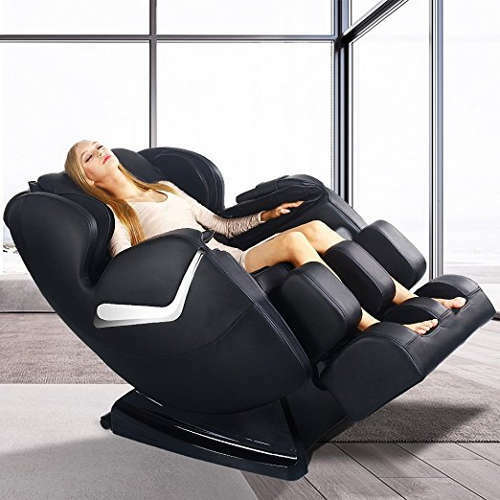 In this article, we'll discuss the benefits of a shiatsu massage chair, provide 5 full in-depth shiatsu massage chair reviews, and discuss what makes shiatsu and their massage chairs different from others. Each chair review will examine the top rated features and what needs to be improved. Through our analysis, we compared several massage chair models, but only the best rated shiatsu massage chairs crack our top 5 list. Before we dive into our review guide, we want our readers to understand how modern massage chairs differ from traditional massages. Instead of comfortable cushion support, electric functions, soft padding, and heat features, there were traditional Shiatsu techniques. 1st Step: Ask the client to show him/her where they are feeling the tension and where not to touch. 2nd Step: Apply pressure using your thumbs, not fingertips. 3rd Step: Follow the dots on the Meridian chart, apply pressure evenly. 4th Step: Watch the arrows on the chart to guide you. 5th Step: Sooth your client's body by flowing energy through your massaging techniques. This is a basic review breakdown of a shiatsu massage, for an in-depth guide; check out our full Shiatsu massage guide. 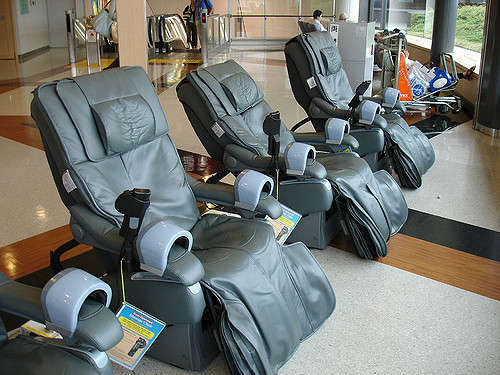 Massage chairs typically recline so that you can enjoy their massaging powers in their full glory. Because of this, you’re not only going to be able to be comfortable, but you’ll also be able to improve your circulatory health and relieve your pain just because of the position you’re in. Whether you need to improve your blood circulation, or you’re someone that has hip or back problems, a shiatsu massage chair is the way to go. Beyond this, shiatsu chairs are known for encapsulating your legs and feet. You no longer have to sacrifice your legs when it comes to a massage – you’re able to get every nook and cranny shaken the way you want. When you’re able to receive a full body massage with the hardness you want, you no longer have to go through the effort of seeing a new massage therapist when you don’t like how the previous one massages. Being able to set what you want in a massage without interacting with someone else will allow you to make the most out of your money, without wasting any on different masseuses. 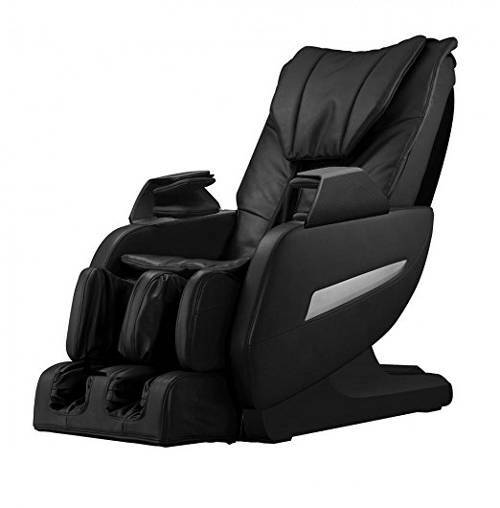 Unlike other massage chairs on the market today, shiatsu chairs delivers in luxury. 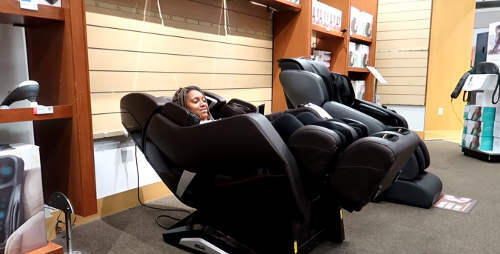 There are a variety of features that you won’t find in your average mall massage chair. With heated seats to footrests and recline technology, you’re going to feel as if you’re a million bucks when you stand up. Whether you want to bring one home or incorporate it into your small business, you can choose from one that runs off of vending (so people have to pay), or one that you just plug, play, and use. 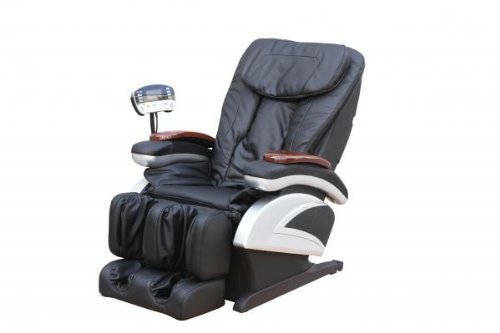 Manufactured by Real Relax, this full body shiatsu massage chair offers a variety of features for an affordable price. Whether you’re a business or a residence in need, you’ll love this chair. Our favorite part of this chair was the incorporation of the waist heater. 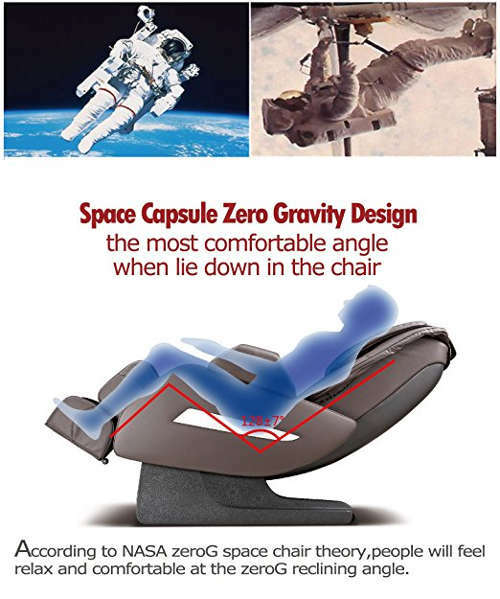 Furthermore, you’re offered a zero-gravity experience and are able to relieve pain from your hips and back when you use the recline along with the heater. 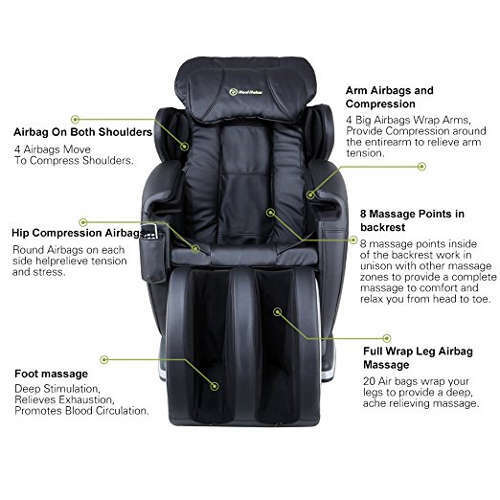 Finally, there are four massage presets and 8 massage points within the chair, along with an armrest linkage system. Not only does the heater warm you up and soothe you as you receive the massage, but since it’s around the waist, it encourages better blood circulation as you use it. If you’re someone who is tall, the footrest extends to manage longer legs which is a nice bonus. There aren’t any direct disadvantages, but if you’re someone who is larger and doesn’t feel comfortable with the walls of the feet/leg rests pushing up against your legs, you may want to opt for a massage chair that is wider. 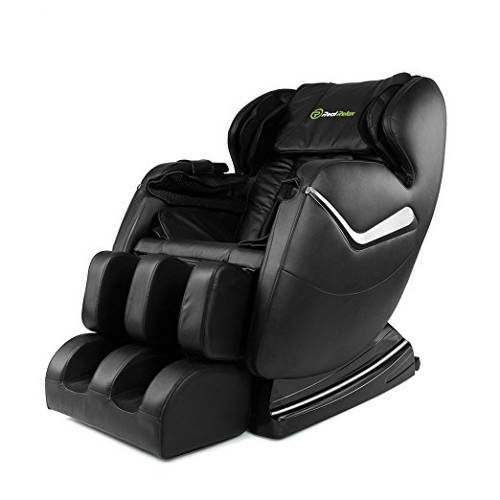 Manufactured by BestMassage, this next shiatsu massage chair includes multiple features and reclines all the way back. 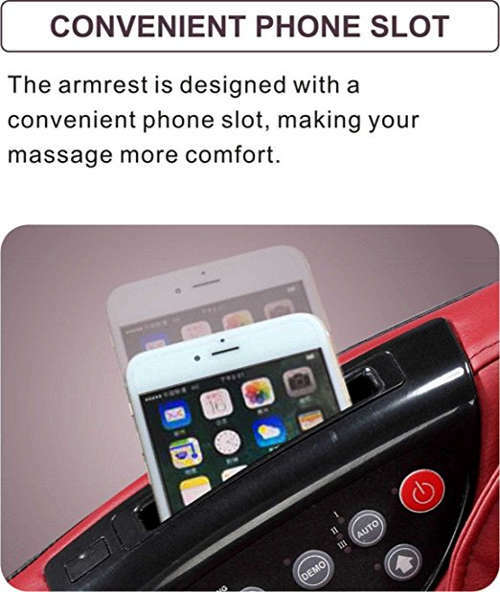 Check out the features that separate this massage chair from the rest. Updated with premium relaxing massager functions, the Full Body Long Rail Chair is the one-stop shop. Massaging down to the bottom of your feet, the chairs roller scrapers soothe your feet and increase the area of massaging by 65%. Furthermore, the chair uses an OPTO sensor which allows customers to have the chairs massage position catered to their shoulders. 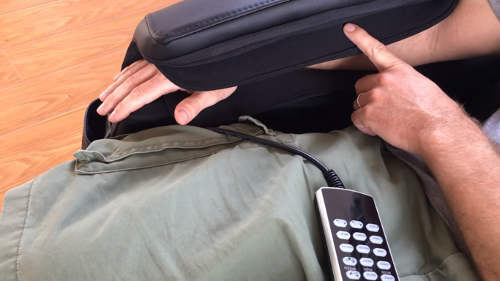 The OPTO sensor allows the chair to find various shoulder positions for the best type of massage possible. Next, the price of this chair is worth the review alone. Massage chairs that have these massaging features and premium results don't offer great price deals. 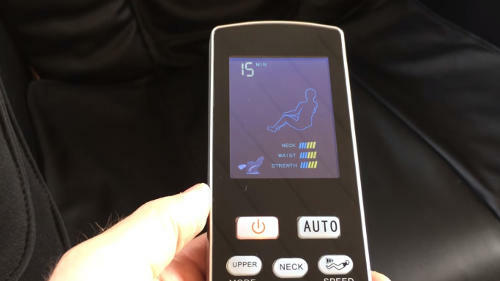 Finally, the biggest advantage of this chair is the massage modes. 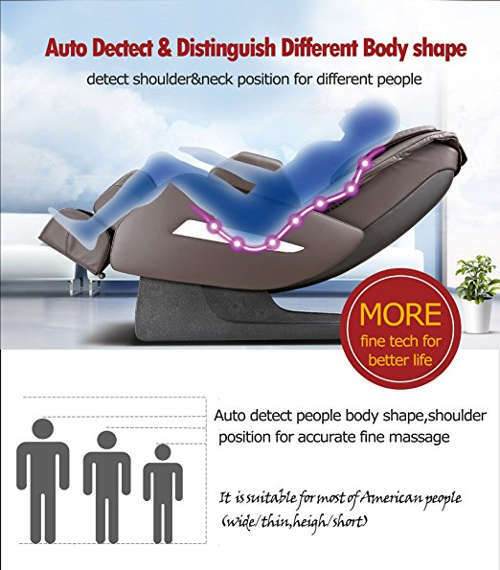 BestMassage designed the chair to focus deep massagers on the back, waist, hips, thighs, neck, and shoulders. This was the most talked about feature in the customer reviews for this full body shiatsu chair. Not all massage chairs feel the same for all people. The personal component of the chair can be seen in chair reviews and how people shop. Compression and percussion modes within this chair yield beneficial results for your posture, flexibility, and mobility while reducing the amount of fatigue that your muscles and skin may feel. The power rollers perfect techniques aid in rejuvenating the muscles through massage – say goodbye to painful muscles after working out! Not only does this massage chair improve flexibility through rejuvenating the body, but you’ll also be able to choose one of three colors (black, brown, and burgundy) to match your business, your home or your personal style. Being FDA approved, you’re able to have these meet commercial guidelines for your business. As with any chair, you may want to test out the waters before diving in and spending the money – although warranties are always nice! 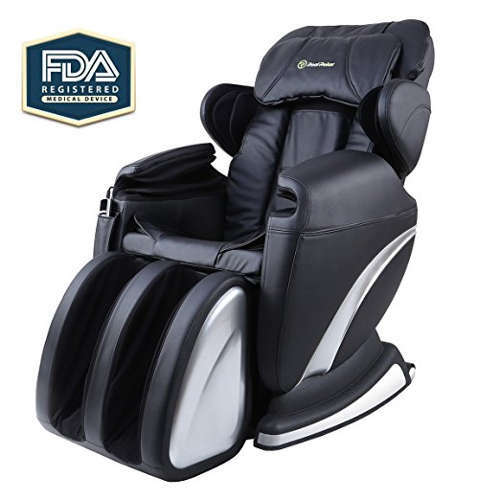 Through our research, we did discover that experts have tested these models and provide high ratings, which is great backing for any massage chair review. This chair emphasized massaging from your head and neck down to your toes and ankles. Reviews for the Full Body Shiatsu Chair compare its price and full body massaging support to its competitors. 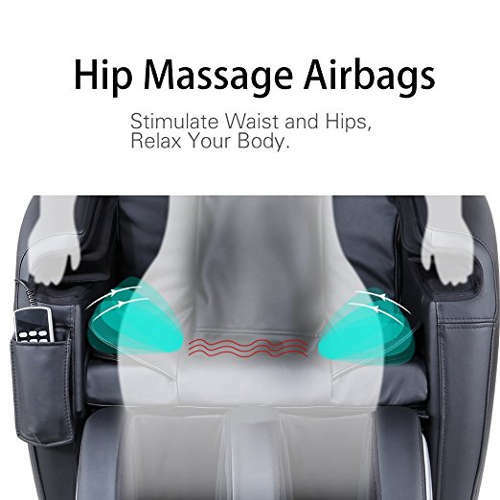 Customer reviews rave about the 35 strategically placed airbags and the luxurious full body massage using the 4 different auto presets. Great massagers make the chairs ability to relax your knots and aching body parts simple and effective. 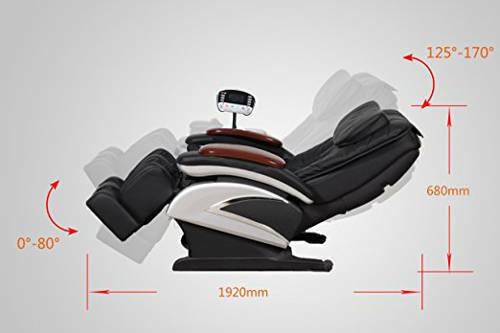 Lastly, it focuses on great massager features by including 8 pinpoint passage points in the backrest alone. The biggest massaging advantage that this chair includes is a pulsed massage style design that allows you to receive arm massages. This is great for customers who work out their arms or work all day using their upper body. This shiatsu chair is much more compact than others on our list. Customers looking for larger and bulkier chairs should look elsewhere (like a cloud shiatsu chair). Although compact, the Real Relax Massage Chair has all the features of a bulkier chair. If you’re into the perfect psychedelic curvy appearance of furniture from the 60’s and 70’s – you’ll love the next chair on our reviews guide. Receiving great ratings for improved flexibility and reduction of muscle exhaustion made this chair stand out. If you want to encapsulate yourself in a cloud (with 3D surround sound), you're going to love this design. Whether you want to recover your muscles from working out or have back problems, the unique shape of this chair caters to both. We think that the inclusion of 3D surround sound is awesome, as it’s amplified by the shape of the chair. This chairs construction is perfect for those individuals looking to sit back on a comfy cushion, relax, and read a book. However, the feature that received the most praise among customer reviews was the price. 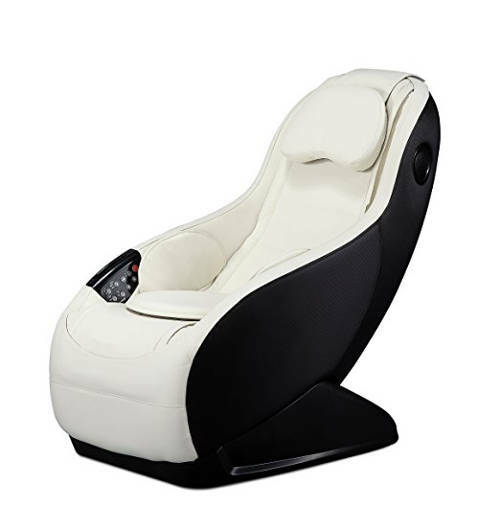 It is impossible to find a shiatsu massage chair for a great price like this. This massage chairs backrest can only handle a maximum of 198-200lbs., so if you're more than this, you'll void the warranty if it breaks. These customers may want to look at a different shiatsu massage chairs. This concludes our shiatsu chairs review guide. We tried to provide an elite guide that covers features, price deals, massaging program functions, and high-quality rejuvenating chairs. If you have any questions regarding our reviews or any of the massage chair, don't hesitate to let us know!